Shifting bargain racks to let the natural light flow in, moving new arrivals to one side for the odd table and an espresso machine, many shops now serve its customers’ coffee addictions as well as their vinyl ones. 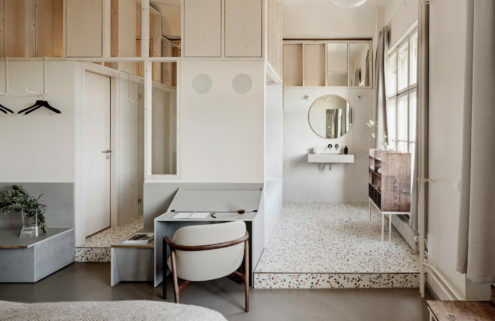 What’s more, they are often in spaces that have embraced the minimal aesthetic of contemporary interior design. From Hong Kong to LA here are ten of the best and most beautiful spots to grab a hot brew and a 12″ slab of pie. Though not strictly a record store, you can definitely get your fix of wax and caffeine here. The Music Room – located within Potato Head Hong Kong, designed by Japanese architect Sou Fujimoto – houses over 8,000 records, hand-picked by German DJ and producer Johnny Hiller and selection of renowned dealers. The high-spec sound system includes JBL Pro Blue series loudspeakers, Macintosh tube pre amps and amplifiers, a custom-made rotary mixer from Japan, vintage Klipschorn speakers and, of course, a pair of Technics SL-1200s. 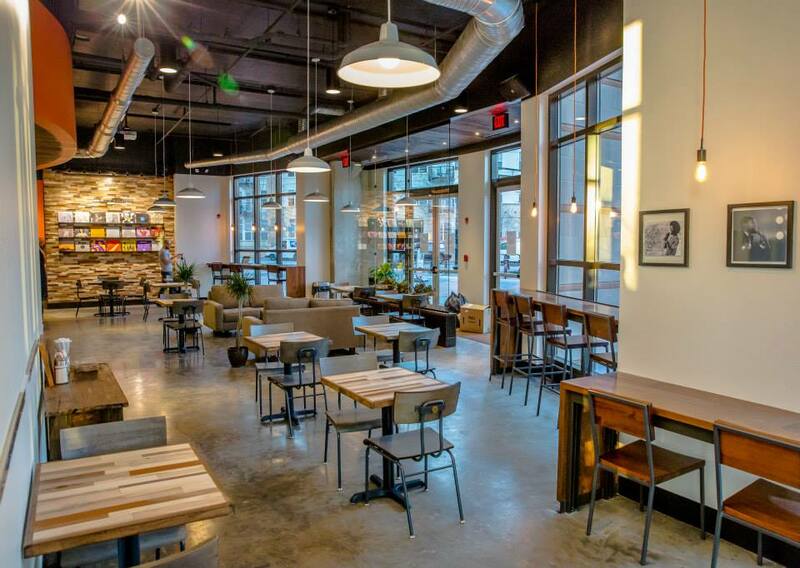 The space, which features wood panelling and mid-century inspired furniture, also encompasses a homeward store and a coffee bar, and restaurant. 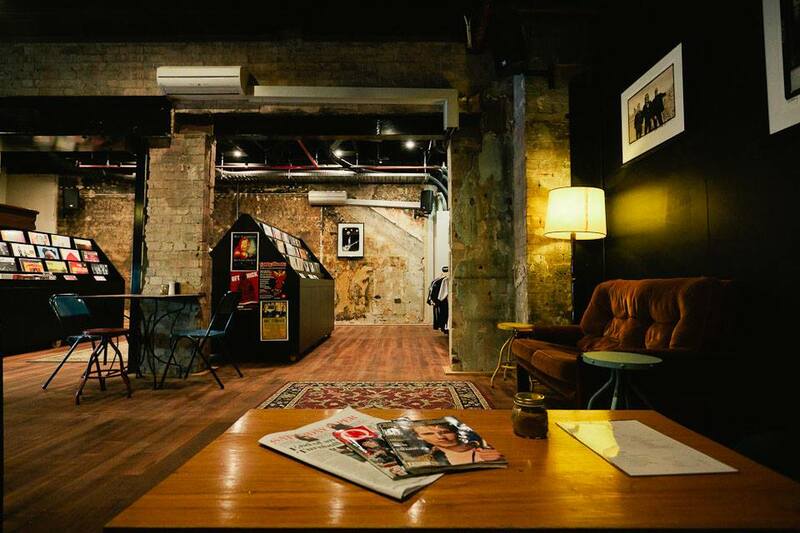 Encompassing a record store, bar, café, music magazine and performance space, Brisbane’s Foundry Records is billed as a ‘community hang’. The vinyl inventory is particularly strong in the indie-electronic department with the latest from labels like 4AD, Warp and Young Turks. As well as the new and familiar, there’s also a nice selection of the old and obscure plus an emphasis on the Australian scene. Coffee arrives courtesy of local roasters Black Star, plus there’s a fully stocked bar and sourdoughs or ryes if you get peckish. When Rough Trade first opened its doors in Notting Hill in 1976, it quite literally served as the living room of punk. As the London scene evolved over the years, it made increasing sense to branch out East. In 2007, a 5,000-square-foot flagship store was opened in the former Truman’s brewery in a courtyard off Brick Lane. 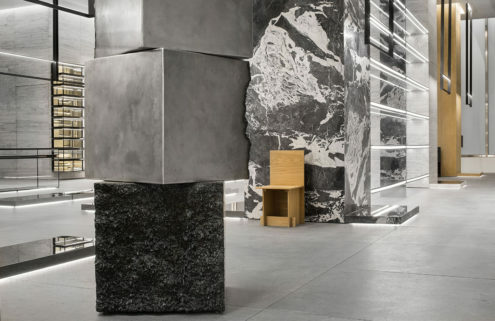 Designed by David Adjaye, the shop has a fair trade café and a ‘snug’ co-working area, and has become a major anchor in the popular neighbourhood. As well as all the releases you’d expect a Rough Trade to stock, the store regularly hosts free gigs by everyone from Skinny Girl Diet to Blur. Located in Copenhagen’s trendy Vesterbro neighbourhood, Sort Kaffe & Vinyl is a cozy café owned by coffee and music enthusiast Christian Rygaard. Come here for top drawer coffee courtesy of local roasters Risteriet and a small but perfectly formed collection, touching on everything from Turkish jazz to electro-clash to Beck. The café opens late (until 9pm) on weekends, often when music-minded obsessives gather to nerd out over new and reprinted releases. Oh and if you’re in need, the shop stocks Pro-Ject turntables. 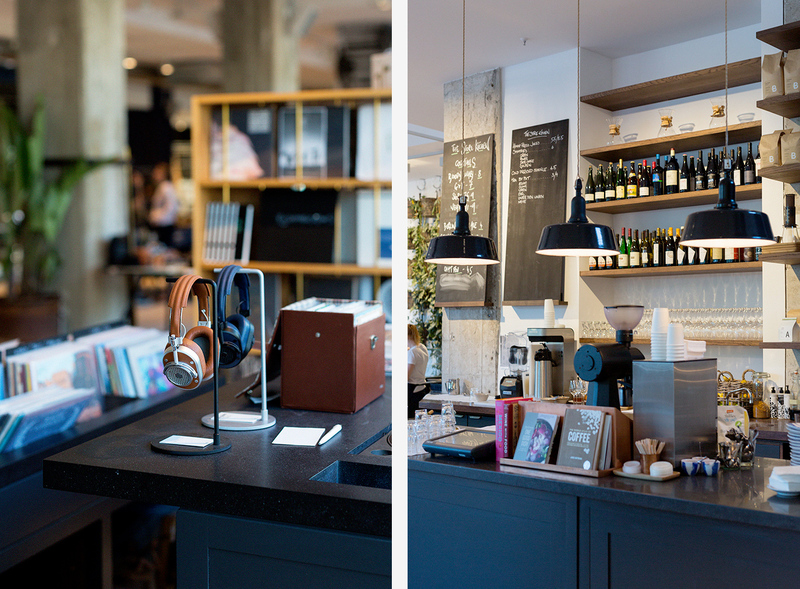 Vinyl, coffee and beer exist in harmony at Oslo’s Hendrix Ibsen. 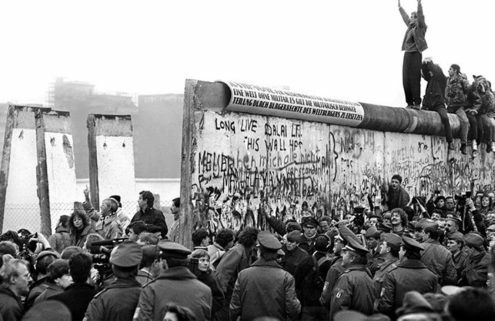 The stock, which is mostly imported from Berlin, is dominated by second-hand classics by Rolling Stones, Blondie, Jethro Tull and so on. The real specialism though is nitro coffee – a nitrogen gas mixed cold drink – which they mix with IPA, all kinds of dark beer, ginger ale, milk or chocolate milk. They also have nitro beer on tap. 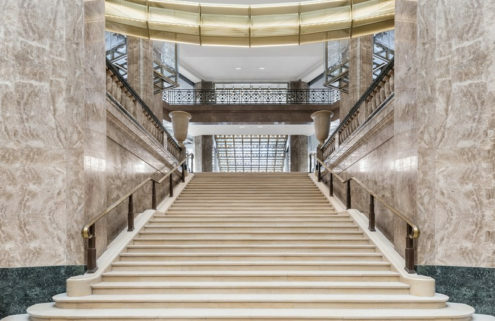 At evening and weekends, the multi-functioning space is used for concerts, book launches, art exhibitions as well as their on-going ‘opera and brew’ nights. ‘We believe that much like a record spinning on a platter and the slow drip of a pour over, coffee and music are both best enjoyed in their most analog forms.’ Bump N Grind takes pride in the slow art of both vinyl and coffee. It roasts its own unique espresso blend, whilst carefully selecting new releases spanning dance music, funk, soul, dub, rock, hiphop, jazz, and everything in between. With two listening stations, walls adorned with tributes to local DC music icons and a meaty soundsystem, it’s a laid-back atmosphere to soak up new sounds. Looking for some Victorian taxidermy to go with your coffee and your vinyl? Brooklyn’s Black Gold Records has you covered. The brainchild of a branding designer and artist, its got an old-world vibe thanks to its tin plate-style ceiling, dark wood fittings, and saloon typography. Between mounted antler heads and Victoriana pieces you’ll find psychedelic rock, soul, funk, jazz records on offer. Stocking 4,000 records and 8,000 CDs across a range of genres, with a coffee shop and space to relax downstairs, Seoul’s Vinyl & Plastic opened its doors late last summer next to giant music hub Hyundai Card. Unlike it’s neighbour, V&P is open to the public and local practice Samuso Hyojadong was tasked with giving the building an update, adding a vast glass and steel facade to the structure. Operating at the intersection of fashion, food, lifestyle, art and music, The Store is one of Berlin’s most dynamic retail destinations. Curated by Phonica, the vinyl selection includes all the latest and greatest 12”s for your DJ bag, electronic and indie LPs, and The Vinyl Factory’s catalogue. On the café front, the kitchen here whips up a rotating daily menu of delicious mixed salads, laksa soups, kimchi rice bowls, raw cakes, brownies and more. There’s coffee via Berlin favourites Bonanza, freshly pressed juices, shakes, and a range of natural wine, craft beers and cocktails. 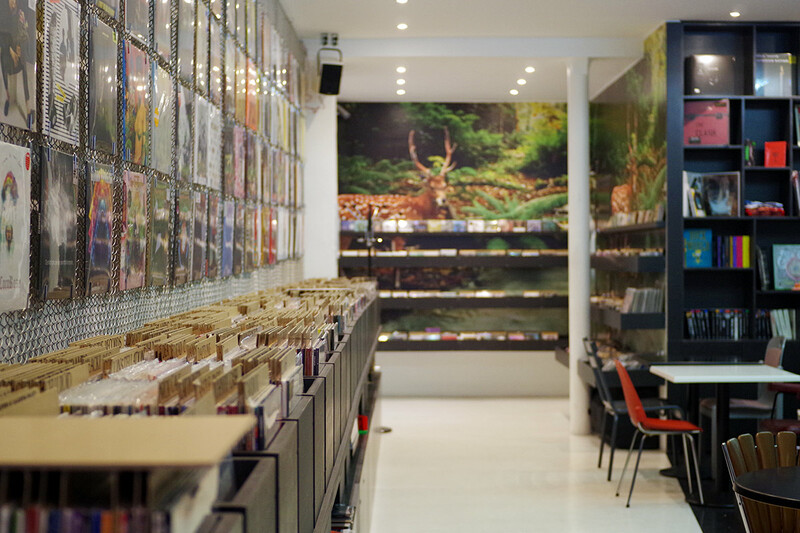 Record stores are harder to come by in the French capital but Walrus is blazing a new trail in the city’s 10th arrondissement. The spacious store doubles as a coffee bar, with vinyls mounted on a steel-link wall and a black and white colour palette adding to the look. Walrus regularly hosts gigs and DJ sets as part of its repertoire too.